A quick post to highlight recent improvements to importing MEP and reinfocement data from IFC files, as well as Grasshopper Generation of these items. Still lots of improvements I'd like to make on this front, so please get in touch if you have particular requests. In the past two months I have been progressing a Grasshopper plugin that enables direct exchange of data between Rhino/Grasshopper and Tekla. 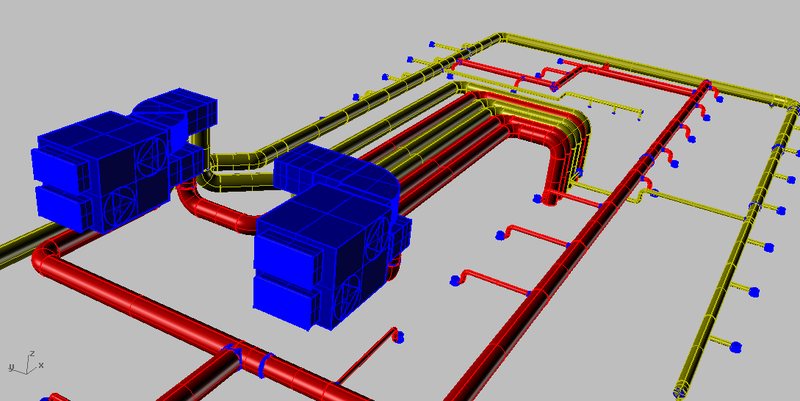 Tekla is a quite compehensive BIM application, although I have initially concentrated on the structures aspect for Fabrication. This has been driven by a couple of projects where the steel work has been modelled in Rhino to fabrication detail and precision, either by python scripting or manual modelling. Rhino does not presently have direct extraction to NC format for fabrication, so a means to automatically extract this information from Tekla without duplicating modelling efforts has many benefits. 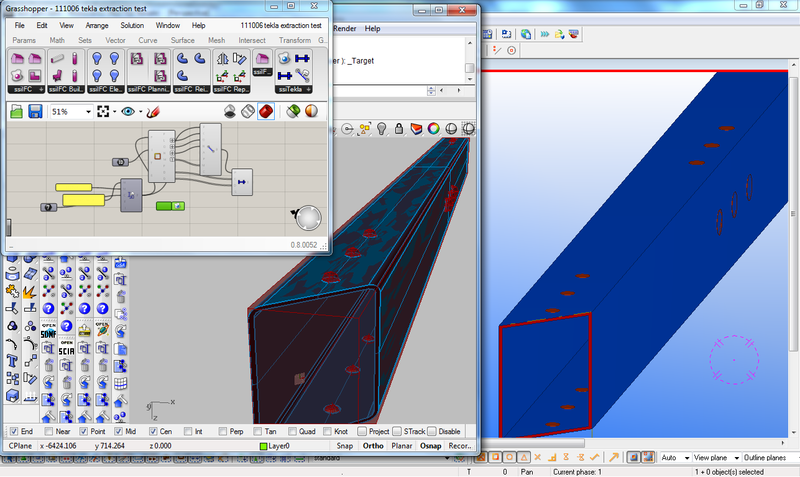 As part of this, I have been advancing some "reverse engineering" components to convert rhino polysurfaces (that do not contain "explicit history" information such as profile extrusion, end conditions such as miters or cut parts, or drilled hole locations. This can be implied from the features that the polysurface (brep) has. 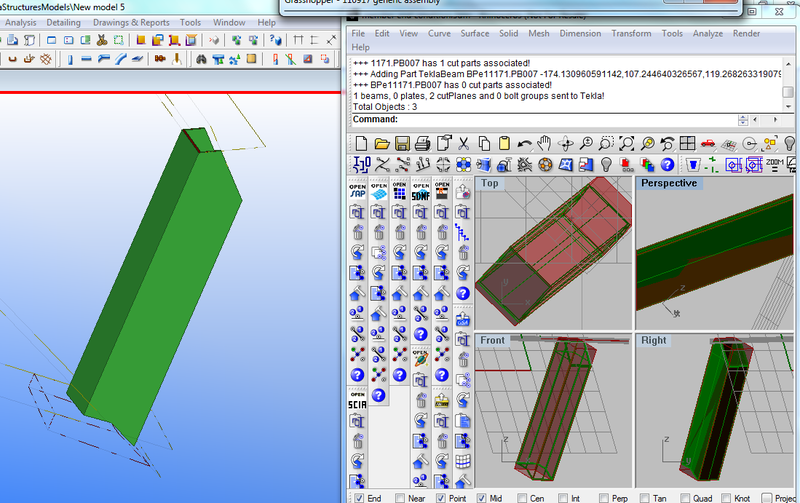 I still find Grasshopper a very convenient means to assign attributes such as steel grade, finish, part/assembly numbering etc, so the Tekla plugin is only a GH addon at this moment. I am happy to assist with explaining/applying this tool to your project if it is of interest. As part of a presentation I will make later this week to the Light Weight Structures conference in Sydney, I prepared a grasshopper definition to emulate the primary structure of the velodrome (which owes a lot of it's success to the generative approach taken by all designers).